When Ameni Mansouri, a Tunisian fashion enthusiast started a women-only Facebook Group for buying and selling clothes and accessories, two years ago, she had no idea that it would go on to become Dabchy, a web-based fashion marketplace used by 220,000 women across three countries in North Africa. 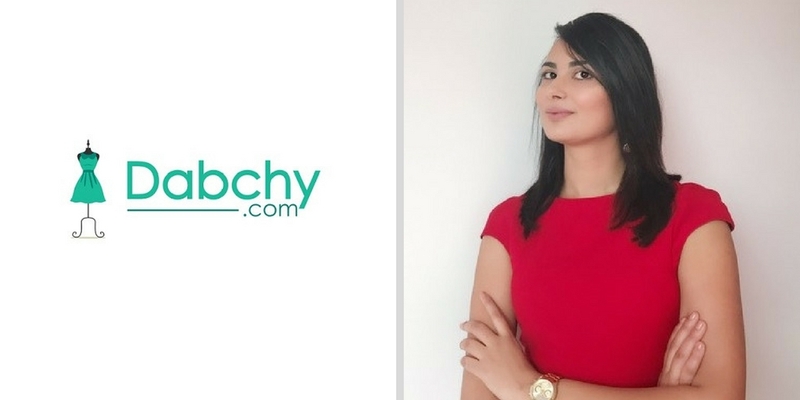 Co-founded by Ameni Mansouri, Oussama Mahjoub, and Ghazi Ketata, Dabchy is a Tunis-based fashion marketplace that connects buyers and sellers. The women-only marketplace helps sellers make money by selling new, self-made, pre-owned or unused clothes and accessories. So they can basically make money by selling something that’s probably just lying in their wardrobe and they don’t use it anymore for whatever reason. Buyers, on the other hand, get to buy these products at discounted rates. So it’s a win-win for both parties. The startup has recently joined Flat6Labs Tunis’ first cycle and has received an equity investment of $44,700 from the accelerator. Since launching the platform in January 2016, Dabchy has expanded into Morocco & Algeria as well. “Our inspiration was to solve a real problem. There are a lot of women who have wardrobes full of clothes that they probably don’t want to wear. With Dabchy, we are offering them a platform that can help them revamp their wardrobes.” Ameni, the Co-Founder & CEO of Dabchy told MENAbytes. With the latest investment, Dabchy is hopeful that they’ll be able to build a team in next few weeks. Until now, the three co-founders have been working with few interns only. The community-inspired marketplace allows its users to share their personal style identities and follow each other. The users who are referred as ‘Dabchouchas’ within the community can also like and comment on the content. So think of it as a Social Network fashion enthusiasts where they can also buy and sell stuff. Last year, Dabchy also launched Android & iOS mobile applications for the platform that offer a smooth social-network-like experience and enable users to communicate within the applications with each other. The apps also let users pay without leaving them if they decide to buy something. The startup apart from hiring few employees plans to use the funding on improving the user experience and growing their community. They also have plans to launch Dabchy VIP for luxury designer clothes and accessories that fall in the range of $300 or more price-band. They are optimistic about expanding into new markets but not before 2019. “Yes, we definitely want to expand into more countries including UAE, Saudi & Egypt but for now our focus is on the existing markets we are in. We’ll continue to grow here and improve our offerings and maybe by 2019 we’ll expand to new markets.” Amine told us. Dabchy has recently reached an agreement with La Poste Tunisienne that will help improve the buying and selling process on the website. The startup was the second runner-up in Seedstars Tunis and was also selected by Facebook to join FBStart, a program designed to help early-stage mobile startups build and grow their apps. If there’s one thing that we could learn from Dabchy’s humble beginnings and initial success, it’s that you don’t have to start big, you just have to start.